Over 30 Years playing Experience. Personally produced player Focused Reviews. In-Depth Game Comparisons & Strategies. Exclusive Behind the Scenes Access. Regular Live Casino Promotions and News. Only the Best & Trusted Live Casinos recommended. No Gimmicks or false promises, just plain honest Facts. European & Asian Studio Tables. 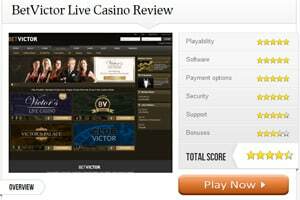 Looking for the Best Live Casino Sites? Welcome to Live Casino Comparer! 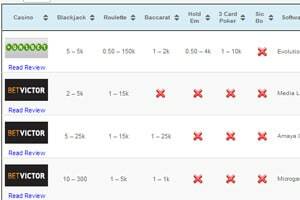 Hi, I’m Neil and I’ve been collecting information on the best live casino games, the software used on the best live casino sites, and where you can play against the best live dealers online since 2011. 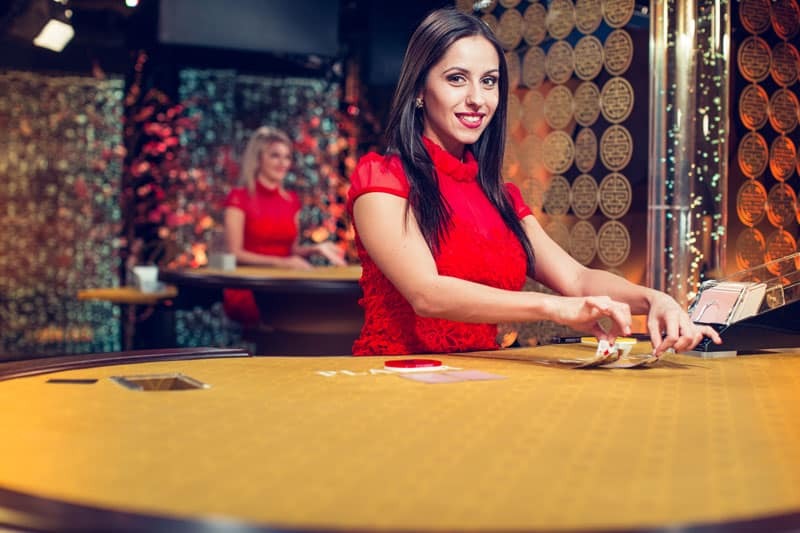 This site contains reviews, comparisons and detailed information about how to play live dealer casino games, and I present all of it in an unbiased and honest way. I spend a lot of time researching, documenting and recording the information. More recently, I’ve been visiting Live Casino Studios around the world, which enables me to provide information you won’t see anywhere else online. All the data on this site is current. I check it regularly. I play online with live dealers almost every day — either for my own pleasure or to test out the casinos to make sure they’re reliable. I only recommend the ones that pass my high standards. Whether you prefer playing against dealers in a studio or live streamed from a land-based casino, you should find what you’re looking for. If you don’t, please drop me a line and I’ll help all I can. Every month I’ll be featuring one casino that I think you really ought to try playing at because they have something special going on. 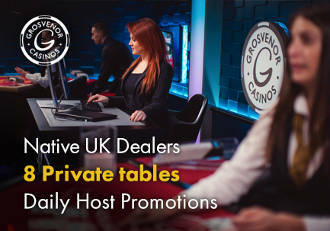 Grosvenor has 8 Dedicated Blackjack & Roulette tables including the NEW Dual Play Roulette & Baccarat from the Victoria Casino. I really want you to be able to find the answers to your questions easily and quickly, so I’ve arranged the content on the site into relevant sections. Once into the guts of the site, you’ll come across multiple ways to search for what you’re after. If you’re a seasoned live casino player, my list of the best live casino sites is probably a good place to start. My List of Live Casinos contains all the games with stake amounts and the software provider used in one easy to read list. You can compare live casinos at a glance, dive in to read a review or just head off to the casino to get playing. I’ve recorded my experiences of playing at live casinos in a series of reviews. These are the only casinos I would recommend and I cover what I think of the software, the playability, the payment options, the security, the customer support and the bonuses. All live casinos are NOT equal, so it’s worth taking the time read my reviews to compare the live casinos. There’s a whole range of live casino software providers in the marketplace. Each has something different to offer players. It could be the games, playing experience or even the native languages on offer. 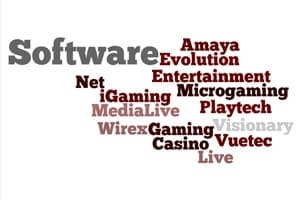 I’ve collated information on them all so you can easily see what they provide and which live casinos use their software with any special options. 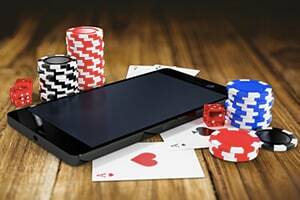 Live Casino games can be played on all mobile device types now. Gone are the days where the choice is limited device or software type. Playing on your mobile phone has never been easier. The software providers are at different stages with their mobile solutions. Some have better products than others. My analysis of the market shows you where you can play your favourite live casino games on your mobile. Free Play Live Casino games are really hard to find. They do exist but you really have to hunt around for them. Fortunately I’ve done the work for you. 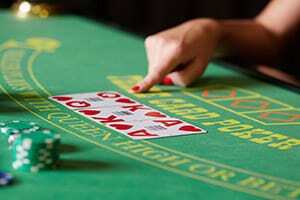 I list the live casinos that offer free play on Live Dealer Roulette, Blackjack and Baccarat. You can use free games to practice, learn the games or even try out some strategies without risking your own money. I only list and recommend casinos that I would play at and trust with my money. I spend a lot of time researching, reviewing, playing and testing the casinos. Most don’t make the grade. Do you see some familiar casinos not on my site? Well now you know why! I like to know that when I win I’ll get paid and when I have a problem someone will respond and deal with it quickly. If you want to know more about what I do, follow the link. Live Casino is one of those areas that is growing. There is always something new going on. New games are released & casinos are constantly changing suppliers. 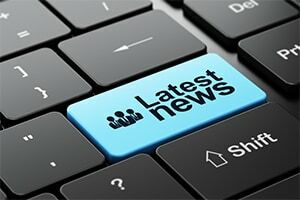 If it’s topical for Live Casino or some interesting fact that I feel the need to share, you’ll find it in my news section. I aim to publish 2 or 3 times a week. Make sure you pop back to see what’s new. My research has taken me behind the scenes where I ask the questions you want answers to. I’ve met the people who put the games together, interviewed the dealers and have seen the compliance processes that ensure the games are fair. I’ve even tried my hand at dealing some games. Live Casino Promotions are a rare breed. High Wagering and excluded games sometime make it impossible to take a Bonus or Welcome offer. 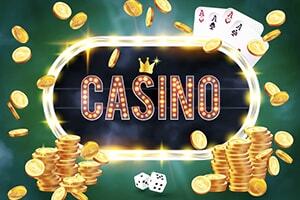 I explain how it all work and provide details on the Best live casino promotions and bonuses. Don’t be seduced by misleading information. Check out these offers first. 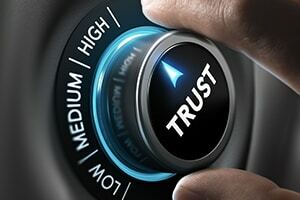 How do I make sure that my list of the best live casino sites is trustworthy? Above all, each site must be able to demonstrate that they treat players with integrity and honesty. Unfortunately, there are online casinos that don’t have players’ best interests at heart. You only have to read some of the casino player forums or live casino player forums to see the ones that don’t or won’t pay if you win. I’m the moderator of the Live Casino section at the largest online player forum, Casinomeister, so I’m able to keep up to date with the latest news and ensure that I don’t list rouge casinos on this site. Learn how to play live casino games the smart way! 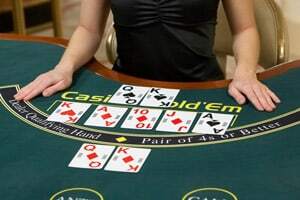 There are many different games currently being offered at Live Casinos (Blackjack, Roulette, Baccarat, Casino Hold’em, Ultimate Texas Hold’em, Caribbean Stud Poker, Texas Hold’em Bonus Poker, Sic Bo, 3 Card Poker, Dragon/Tiger, Bet on Poker, Hi-Lo, 3 Card Brag, and Bet on Baccarat). You can learn how to play, where the best places to play are, and what game features are available at each casino at Live Casino Comparer. You’ll find the best games can be found across a number of live casinos! Live Blackjack isn’t the same at every casino. You can play your own hand on a 7 seat table or share a hand on Unlimited or Ultimate Blackjack. There’s tables with side bets and games with 6 or 8 deck shoes. There’s also Vegas & European Rules? The choices are endless. My quick summaries will help you find the best game and where to play it. A good mix of live casinos offer great live roulette games. You’ll find all have European Roulette and some American. There’s Immersive, Prestige, Speed (for those in a hurry), Double Ball and Land Based. All come with a wide range of stake options. 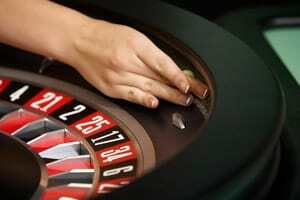 La Partage can be found where French Roulette is offered. What makes a good game of live baccarat? Roadmaps? Check! Side Bets? Check! Hands dealt quickly? Check! A good variety of software and dealers? Check! Now with Mandarin speaking dealers at bet365’s Emperor’s Room and Live Baccarat Squeeze from Evolution Gaming. Online live baccarat has never looked more appealing! Low and high stakes games can be found for this single deck, single hand, multiplayer game. It’s really down to which software you prefer. There’s now a version with a Progressive Jackpot that’s over a 1 million £/€s. Evolution Gaming has the market cornered here, so it’s all about which casino you prefer. I like dedicated tables but the generic tables are just as fun. I just love the poker derived games and play this when I’m in a land based casino. Developed in ancient China, Sic Bo is very popular with players from East Asia. There’s not a great deal of choice at the moment — with only two live casinos offering live Sic Bo. Thankfully they’re both pretty good. With Hi Lo you bet on the next card being higher or lower than the previous one dealt. It’s one of the easiest live casino games to master and is only available at Playtech Live Casinos. 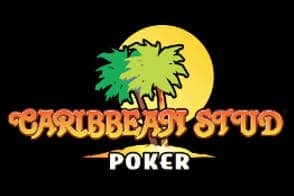 5 Card Live Caribbean Stud Poker is provided by 3 software suppliers. The version by Evolution Gaming comes with an additional Progressive Jackpot. Alternatives are provided by XPG and Vivo Gaming. Live Bet on Poker is a variation of Casino Hold’em, played with multiple hands that you can bet on. Bets are placed at different times during the game round making this more exciting. 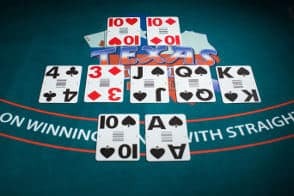 Arguably the best version of single hand Texas Hold ’em style poker. I’ve got to say — I love this game. The ability to increase your bet as you see the cards dealt is pure genius. I love the fact that you can take a gamble and bet four times your initial stake. The best part? The Trips bet pays out even if the dealer beats you! 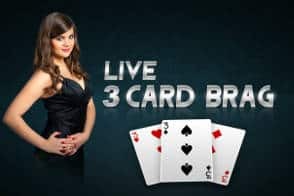 3 Card Brag is Playtech’s version of 3 Card Poker. Essentially the same game, although hand rankings are slightly different. The USP is the side bet Pair Plus can be played without placing an Ante bet. An RTP of 98% is difficult to ignore in this cracking card game. 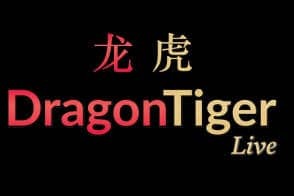 Dragon Tiger is a simpler form of Baccarat where you bet that one of two cards is higher than the other. It’s not quite the same as Hi Lo, but almost identical to Top Card by Evolution. All of the main software provides have Dragon Tiger. Players love its simplicity. What a cracking game this is. 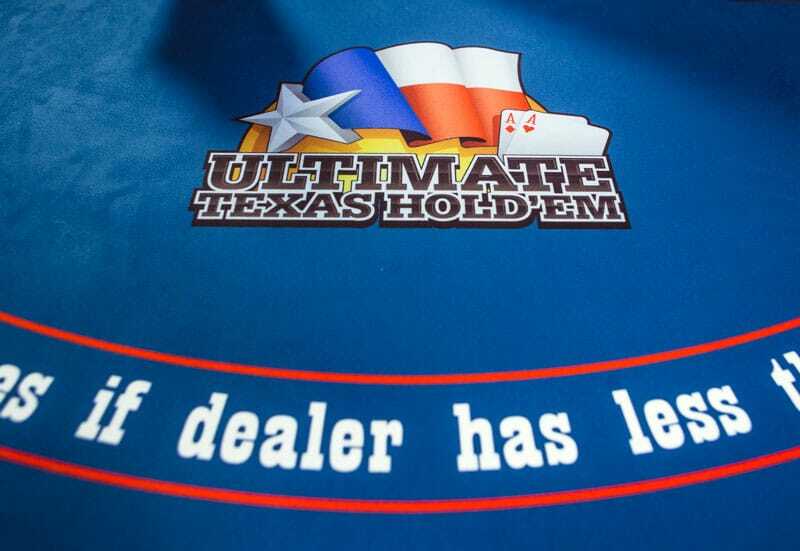 It’s similar to Ultimate Texas Hold’em. In this version you’re able to build your bet as the cards are dealt, rather than betting after the first two cards are dealt. The side bet is also unusual. There’s also a Progressive Jackpot. Could it get any better? 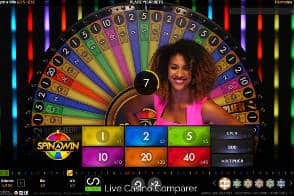 This is a Wheel of Fortune type game from Evolution Gaming. The hook with the game is the win multipliers that can be applied. It’s been more successful than anyone thought, Evolution included! Try this out if you’re looking for something different. 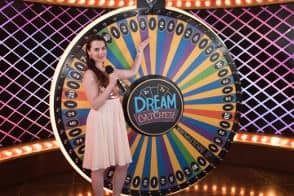 Spin A Win from Playtech takes Wheel of Fortune type games one step further. It’s similar to Dream Catcher with additional side bets that actually have a better RTP than the main game. The sides bets can be played on their own if you want a lower risk bet strategy. Top Card has been a surprising success. It’s a game similar to Dragon Tiger – The Tie is paid differently. 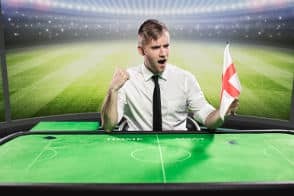 It’s used as a sports themed table game, with expert dealers discussing the most topical sporting events of the day. …So, how did this site begin? Have you ever had one of those days when you’ve been looking for something on the web and haven’t been able to find it? Well, this site is the result of one of those days. I was looking for detailed information on the games you can play at live casinos. I wanted to find a casino that had live blackjack with side bets and used eight decks. After trawling through umpteen sites and registering at numerous online casinos, I eventually found what I was looking for. To cut a long story short, a few months later, I started Live Casino Comparer to record all that information. This site continues to grow as I investigate and play in my spare time. Hopefully, you’ll find all the information I’ve collected relevant to your search. 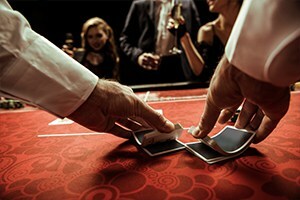 This website is here to answer any questions you might have about what makes a good casino and where it’s safe to play. Unique behind the scenes access. Remember: to play live casinos online properly, you should have fun! Gambling online should be fun. I’m hoping that you found this site because you were looking for advice and recommendations on where it’s safe to play. However, gambling does have its darker side. So, if you’re new to playing online or indeed feeling that you are not in control of your gambling, I would encourage you to visit the Gamble Aware website. This is an independent information and support resource for gamblers and their families.